These are better than any metal serveware or kitchenware they not just overwhelm you with their bright designs and colors but also amaze you with their functionality. All polish Pottery products are handmade using locally sourced clay from Boleslawiec Poland and are then hand painted to perfection using brushes, sponges and rubber stamps in the most eye pleasing floral patterns. Although there are several places in Poland to buy Polish Pottery products but the most authentic is from the village Boleslawiec. Ace your dining tabletop presentation with the elegant and choicest stoneware serving plates and platters to give a luxury dimension to even the most impromptu dining scenarios. The extremely functional range includes stoneware serving platters, stoneware serving tray and serving dishes. The highly durable and sturdy vitrification technique made Polish pottery serveware is then given an impermeable texture and finish with a scratch and chip resistant glaze to last your dining companion for a lifetime. The best quality heirloom pieces don’t require much care as these are dishwasher, freezer and microwave safe to suit a variety of cooking temperatures. Coming in sizes from small to medium and large, these cater to a variety of portion requirements. 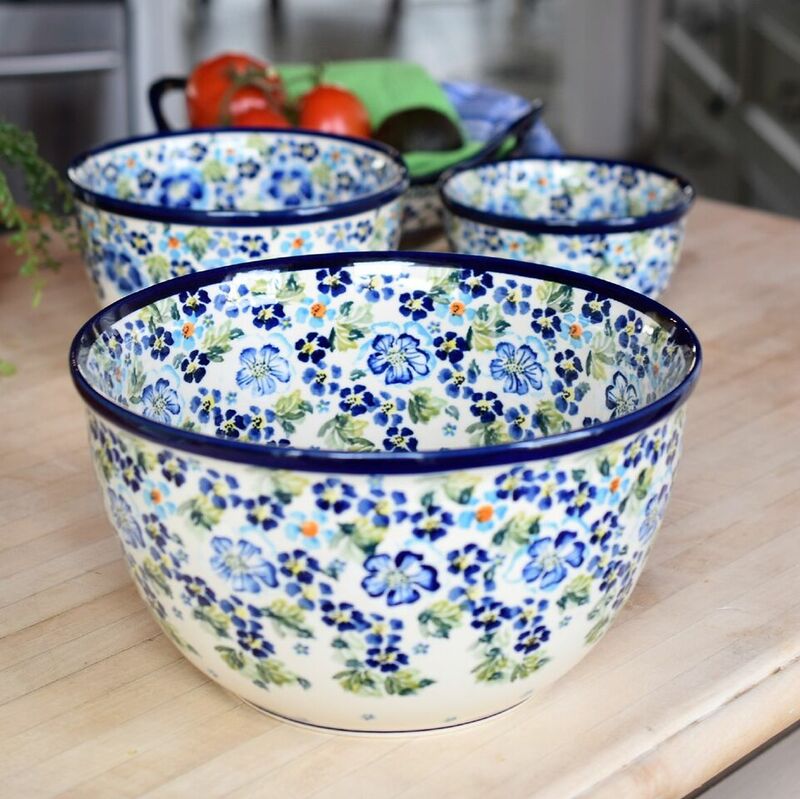 Relish the quality, appeal and durability of the Polish pottery all-purpose bowls in your kitchen for everyday use that only craftsmen from days gone by can produce. The ceramic serving bowls, stoneware cereal bowls, serving bowls, mixing bowls and rimmed soup bowls are some of the ace stoneware bowls used in contemporary homes for regular cooking and serving. The heirloom quality Boleslawiec pottery bowls add a definite character and oodles of charm to your everyday dining experience. Polish Pottery stoneware coffee & tea wares include cream and sugar pots, stoneware cups and saucers, stoneware teapots and coffee mugs for casual as well as aesthetic use. Gone are the days when the ceramic pottery products were majorly kept for decorative purposes or hung on the wall. The more functional, strong and utility-oriented stoneware makes for an ideal kitchenware for its versatile properties and long-term durability. Add an artistic dimension to your everyday cup of coffee with the Polish pottery coffee mugs. The life-like floral designed mugs not just give you a perfect start to the day but takes you down the memory lane. The lead and cadmium free stoneware coffee mugs relax you with the first sip itself for being drinking from a mug made of ceramic- and chemical-free material. While the wide rim is easy to sip from, the curved handle provides a comfortable grip without feeling heavy. All handmade Polish pottery mugs are safe to use in freezer, microwave and dishwasher for ease of use. 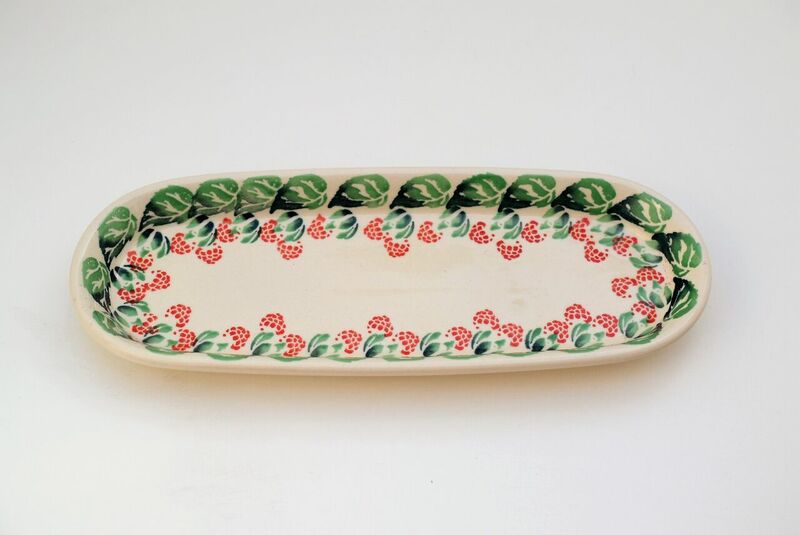 Pottery Avenue is the leading online marketplace and the proud stockiest of ace Polish stoneware kitchenware, serveware, teaware and decorative accent pieces for all homes and kitchens. Trust us for the most authentic quality, handmade and cherished Polish pottery products at market leading prices for discerning Polish art lovers.